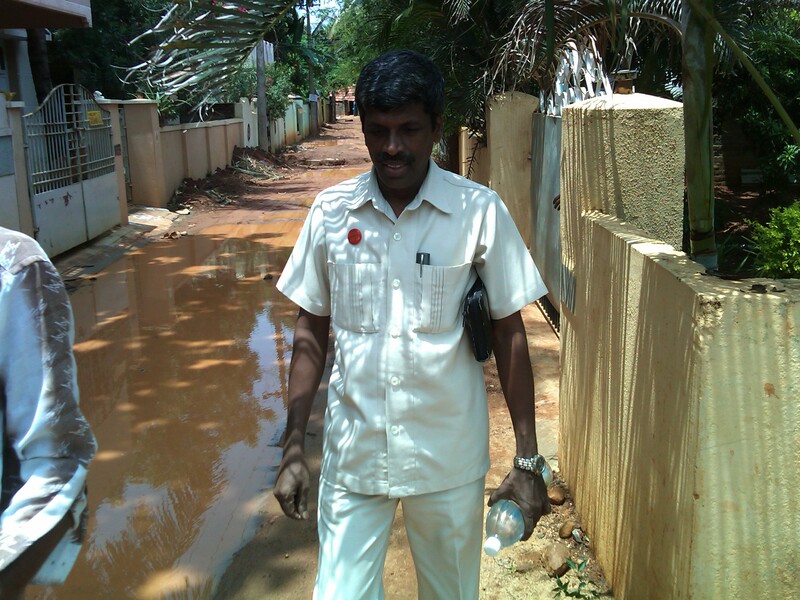 The days passed quickly here in Chennai India. The humid hot weather makes you wonder how people live in it with out relief. We took our refuge in the bedroom with an air-conditioner to cool back down and rest. Our bodies are so turned around from an 11.5 hour time change, so we rest, pray and study for the next meeting. The first meeting was to begin at 9 AM it was close to 10:30 AM when we started with about 20 people straggling in the door. Transportation is by motorcycle, bike, foot or taxi. It is the rainy season and there is road construction on their small street outside the church. The street has been dug up for drainage and the dirt was not compacted, so the rain washed it away leaving a huge hole which makes the road unusable by vehicles along with piles of dirt left down the center of the road. You must drive off the side of the piles to get to the house. Our first night arriving the cows that wander the streets freely found it a nice place to sleep and we had to wake one to move pass. The meeting ends about 2:30 and lunch is served, Rice, chicken and gravy. We are given special food with less spices knowing we are not accustom to indian spices. They also had some vegetables, eggplant and drumsticks. I tried a taste and the spices are so hot I need water. They had a crispy bread, we asked to try; it was similar to a crispy tortilla but made from lentils. It had the consistency of a potato chip but the size of a tortilla. Then they serve a dessert, described as “sweet sweet”. That is their word when something is very sweet, there is no word in Tamil. I found that there are many English words that are not in the Tamil language, they just use the English. So you hear them talking and there will be understandable (that is for me) words interjected. When I asked how to say please in Tamil they said “Please”! Thank you is “Nandree”. The Pastor’s conference is three days, it rains hard with lightning and thunder each evening but it is keeping some of the heat away. The clock in the back of the church tells me it is 32 to 35 celsius which is 93 and 98 degrees farenheit. This is in the church during the meetings. Thank goodness for ceiling fans. 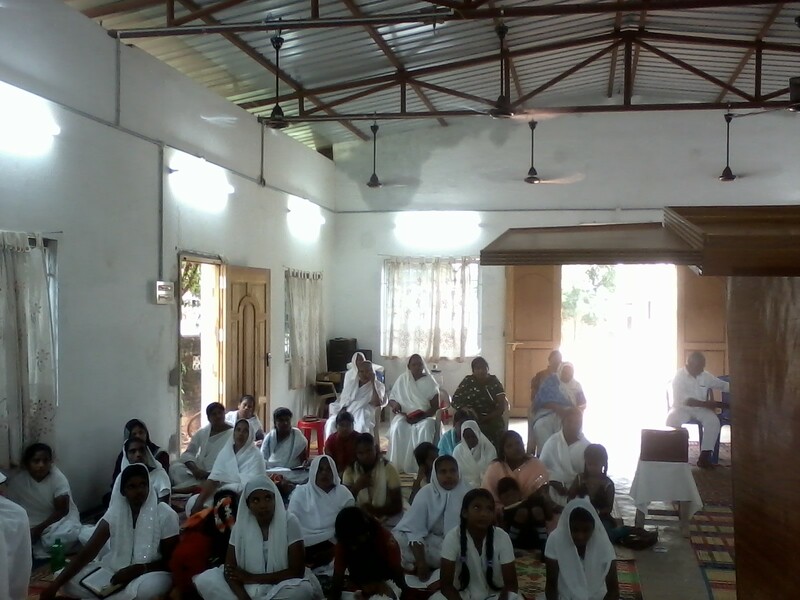 We offered the pastors a time for questions and comments so we could hear feedback. Are we getting the message through? What are they hearing, can it be applied in their life and ministry? These are important ingredients to a successful time together. They tell us “We have never heard teaching like this before; you are telling us the importance of stewardship”. They caught the challenge we are God’s mangers here on earth, do it well. They are encouraged and so many came to say “thank you, I learned so much”. Pastors can carry a heavy load, burdened down with the concerns of life and working with others; these Pastor’s left refreshed, happy, with new energy to serve with gladness. We ended the meeting greeting, shaking hands and praying for some, we then retreat to our room to cool down once again. Friday we take a taxi to the beach. We decide to walk in the water but the sand burns our bare feet so we walk in sand filled sandals the long journey back to the street where our taxi awaits. I am saddened by all the trash thrown in the sand, It takes away so much of the beauty of the World when trash is left behind. It is a huge issue in Chennai. 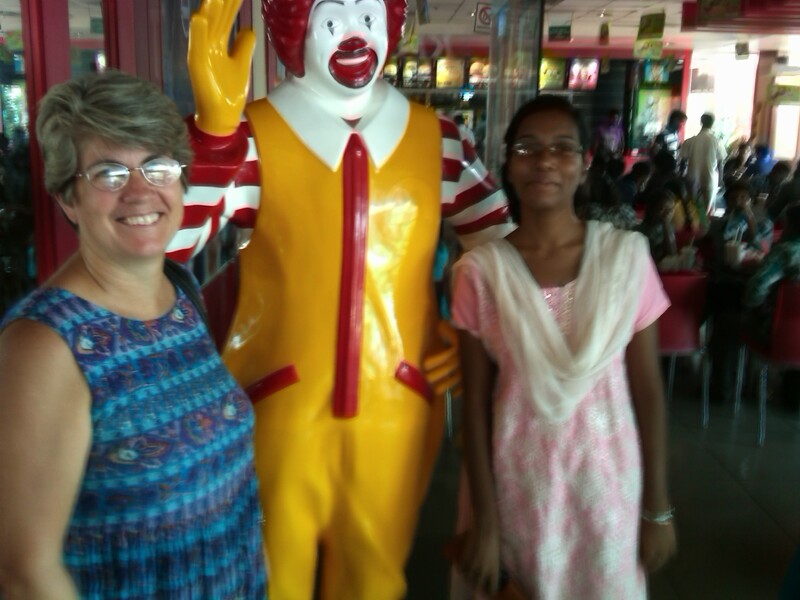 We then head to a mall to have McDonald’s India style interestingly there are no hamburgers on the menu! Mc Chicken or Mc Veggie or Spicy! We went for the Mc Chicken. Then we were off to an ice cream shop for dessert . We have still had one more church service and a long plane ride home. We are thankful the taxi has air-conditioning and the windows can remain up. We have our one last meeting with the church members who are gentle sweet people who are very shy. You have to reach out and make them feel secure in your presence. It was a special time as we sang and praised God and then they prayed for us. We had such precious moments together with our hard-working dedicated friends. 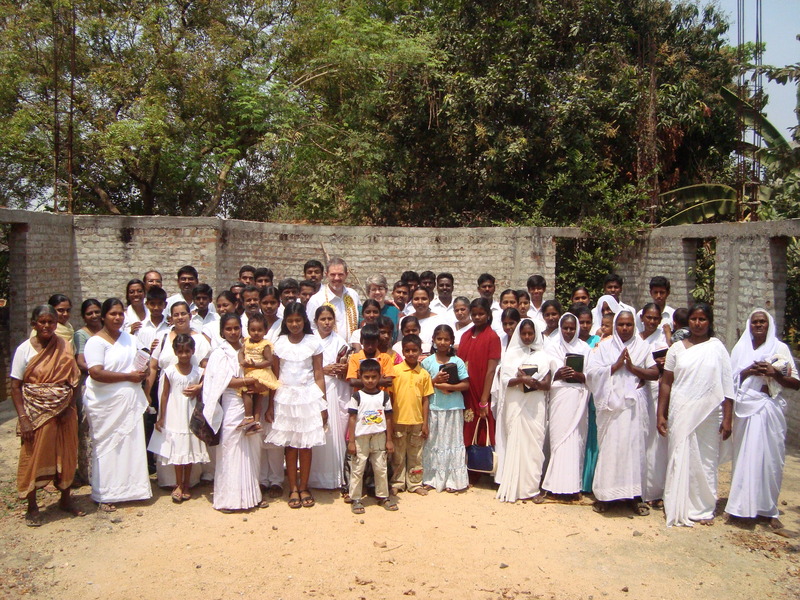 It was a great journey, a time of celebration of the progress of the church building. Just two years before it was concrete walls and the floor filled with sand. Today it has a roof, door, windows and lots of ceiling fans to try to keep it cool. It needs to have a permanent roof, then they can install air-conditioning. So there is opportunity to give towards the final completion. They also want to begin a bible school for training and then begin an orphanage, they have already registered for the orphanage but one step at a time. We walk together with them seeing progress and rejoicing. 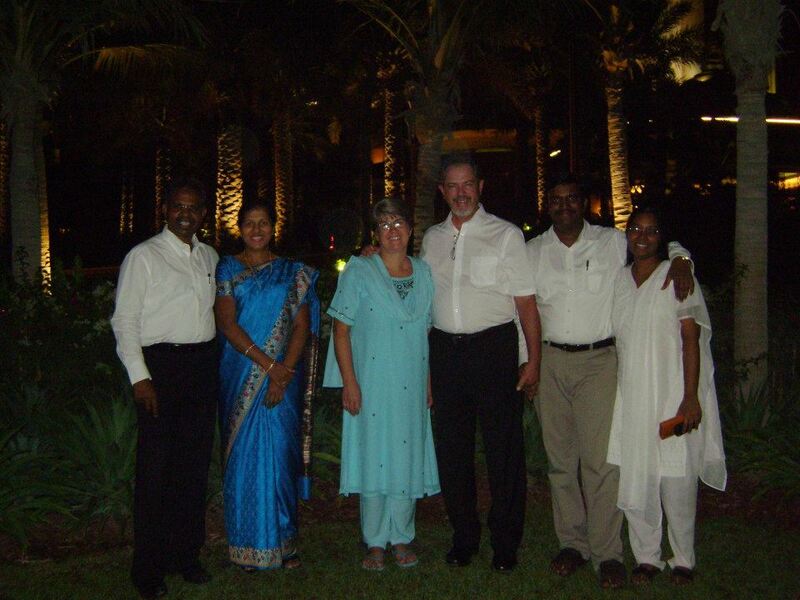 God bless you Sam and Beaulah God bless Chennai India. The ladies side of the church on Sunday morning. 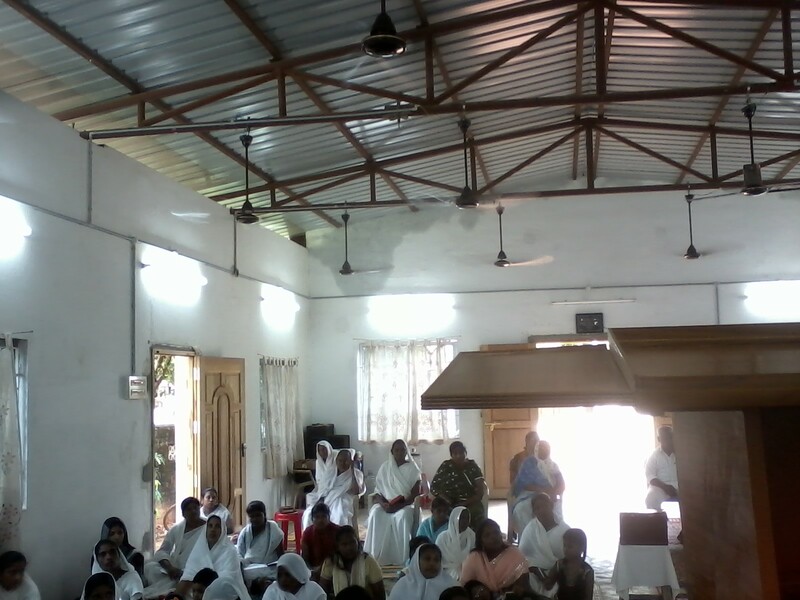 White is the traditional choice of clothing color on Sundays for all. Day 2 of the Pastor’s conference. We are speaking on stewardship in the many areas of life, the holy calling, the bible, our families, our money and much more. The Pastor’s seem to be getting a lot out of the teachings. One said ” We have never heard teaching like this before” Chuck taught we are manager’s for God. God is like the owner of a store that you don’t see and we are his manager’s on earth taking care of business. We must do a good job for the owner. He also used the example of a tailor. Sunday, Chuck was measured for a white suit but when we picked it up Monday night it was too small. God knows our measurements and he has the right suit for you. God knows just where to place you in life to flourish. God doesn’t take wrong measurements. The weather is so hot, there is not much relief. The church stays between 93 and 96 degrees with fans blowing. How do I know? There is a clock telling us the time and temperature in both the house and the Church. We are thankful for Sam and Beaulah who gave up their bedroom to us it has an air conditioner so we shower off and rest under the nice cool air, the rest of the house stays around 88 degrees. It is fun working with an interpreter as they come to us afterwards and say they are getting so much from the teachings. They probably learn more as they have to think through it twice! What a job that is to hear in one language and speak it out in another. Oh how I want to speak more than one language. Here is a note for those of you who hate speaking to India people over the phone like with Dell and other world-wide companies. They understand their English perfectly it is yours that is hard to understand! They don’t understand why you can’t understand them or why you accuse them of not speaking English. It is kind of like going from Boston to New Orleans. We have had such fun at our dining room table having friends from Kenya, India, Jamaica, Peru, and Nepal all trying to communicate in English with each other. Chuck and I just sit back laugh and enjoy because each understands perfectly what they are saying with their accent and no one else can get it! But if we take the time to listen pretty soon you can figure out the accent and understand it all. It is kind of like listening to Jesus, My friends be gentle in life; we live in an international world, we are connected by internet, airplanes, phones and so much more. Take time to listen. Monday was my birthday. When I get home I am going to meet my friend Adell at IHOP so I can get my senior discount and we can share our birthday’s together. Freda, Sam and Beaulah found out on Facebook that is was my birthday, it was also our tour day so we went to the Chennai zoo. It was really nice they had many kinds of animals and many of those animals. So you didn’t see just one in a cage but families. We saw many of the animals of India so it was nice. They needed more signs telling about the animals. It was also very hot and humid. Sam met a friend that works for the zoo and we ended up getting VIP treatment in a golf cart tour. We were to go to lion safari but it was getting late and we were having to wait too long. So we called it a day. I was satisfied. They then took us to the Lemon tree Hotel and restaurant where we had a nice meal. When we exited the building it was raining and the traffic was terrible. Driving in Chennai is an experience! Add rain and oh boy! They stopped by a bakery and purchased a cake and off we went until we got to the dirt roads our driver did very well and we made it back with out incident. No cows sleeping no mud holes too deep. Once home they had candles and sang to me. They have a tradition like we do with wedding cakes, the birthday person cuts the cake and gives a bite to the husband or sibling or someone. They were surprised we didn’t do the same! They said “you do” and I replied “with my hands?” Even cake they eat with their hands and they are very good at it. It was a nice day with many happy day greeting from family and friends via Facebook. I got bit by something I could feel it under my dress in the taxi I have a large red rash on my thigh. Looks pretty nasty it was painful and itchy. It kind of looks like a spider bite. I am using antibiotic and anti itch cream on it. Oh what fun. 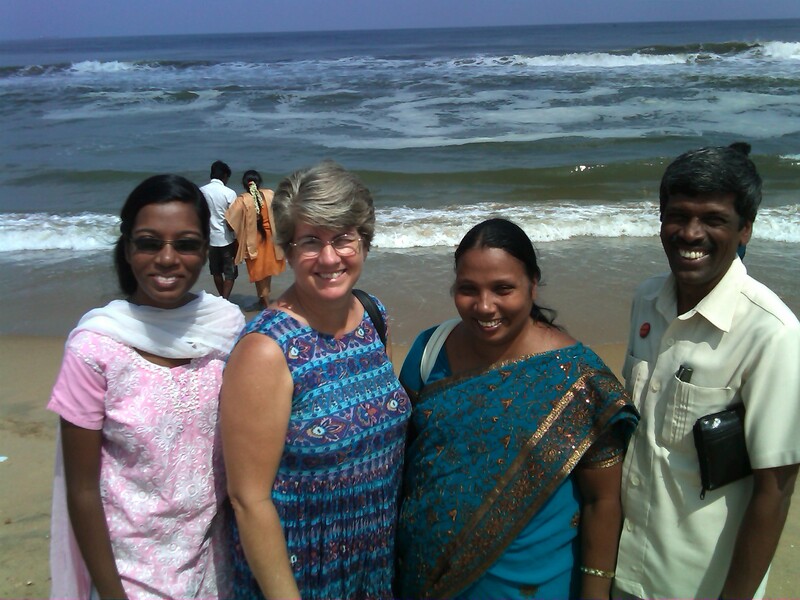 We are thankful to be here and look at the Pastors and the hard work they have to do here in their home country. We are thankful for Sam and Beaulah and all the work in outing together this conference. 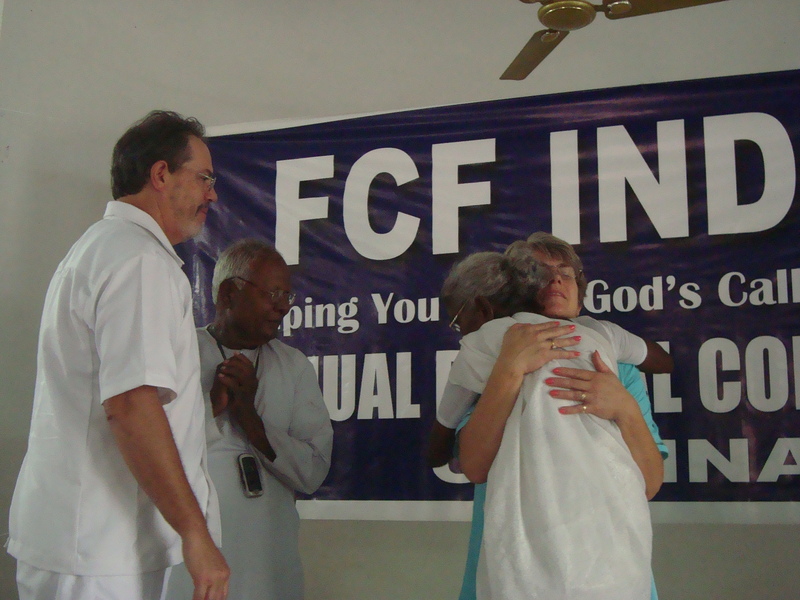 For Gail Buse International Director of FCF for sending us here and helping with the cost. We are thankful for our Pastor’s Fred and Cookie and all the support they give to us! We are thankful for The Carpenter’s Workshop Community who have been so faithful and generous and believe in this calling in our hearts and always encourage us to keep going. We had a wonderful day that went by quickly. 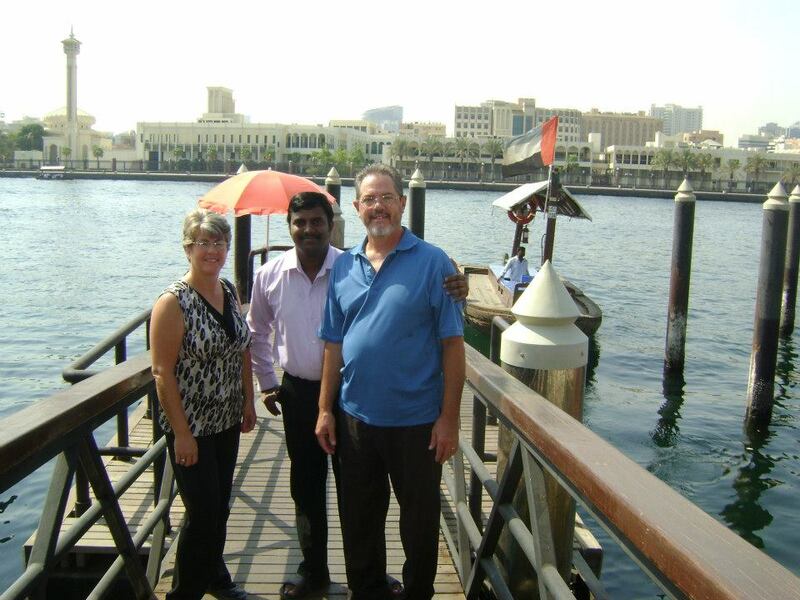 Samson and Hannah took us to the Dubai Mall and other sights. 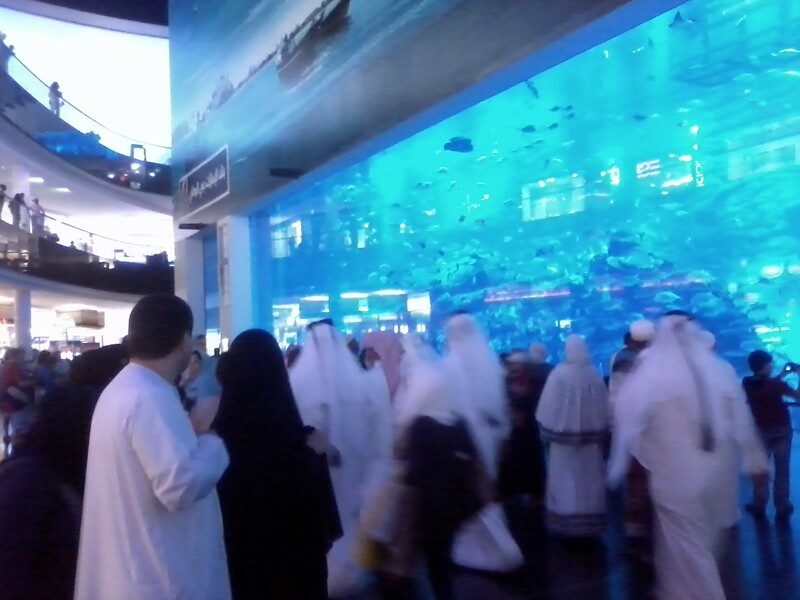 this was the aquarium inside the mall, my phone camera doesn’t do it justice. Hannah may have tagged me on some photos in facebook to get a better look. This was the bus ride to the mall, we first took the metro then the bus. See Hannah smiling! Afterwards, we were so tired that we slept in a darken room. Housekeeping came knocking at the door and I told them no cleaning now. When I looked at the clock I thought it said 5:45. I couldn’t figure out why they would come so early to clean. I fell back to sleep, the next time I woke the clock said 11:45. I thought the clock was broken. My children know I never sleep in! 8:00 am would be sleeping in for me not noon! We were to be ready for lunch at 1:00! So we quickly got ourselves ready. The church service began at 3:30 pm and we needed to leave by 2:30 to get there. There are 7 Emirates in the united Emirates, Dubai being one of the seven, the church was in an adjoining emirate, I will have to look at a map to tell you the name but is was south I believe. Sharjha maybe the name of the area we were in. The music had already begun when we arrived. They ushered us to the platform. It is always amazing to join in praise with people of other nations. We soon become one family. 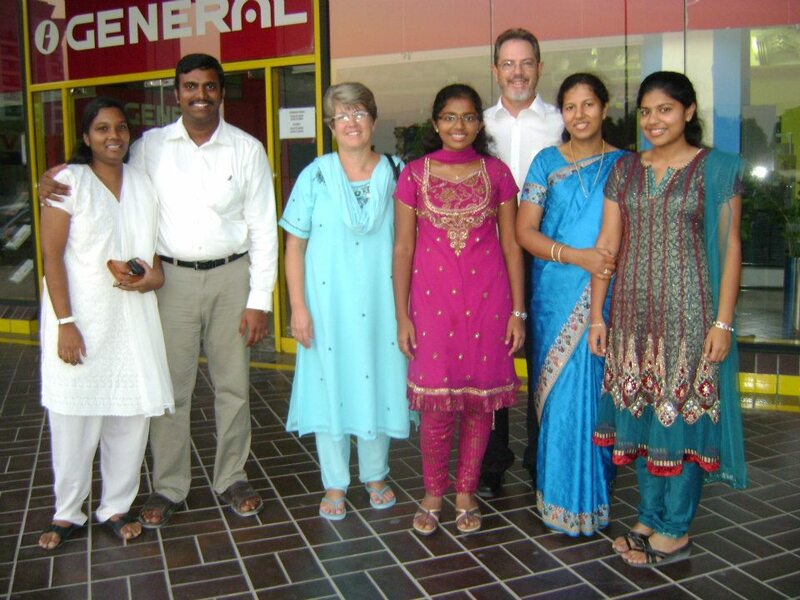 This is a Tamil Indian speaking church community. After music, prayer offering and communion it was about 4:15 Chuck was given the microphone he introduced me and I shared a few words then Chuck taught out of Galatians 5:22 on the fruit of the spirit against such there is no law. In an Arab world where there are many rules there is no rule against walking in unconditional love that comes from God. New doors of friendship were open to us today. We were asked to return and come to the church any time we are traveling east to come to Dubai, the Pastor has 4 churches and wants to return and speak in each one. After the service the Pastor and family asked us to join them for lunch. Hannah and Sam came along and we were shown many places and taken to a wonderful Arab restaurant. The best hummus, pita bread and kabobs I have ever had. He then drove us out to the palms which are famous in Dubai. We also saw the city of Atlantis. We prayed together on the sidewalk overlooking the sea. This Pastor has great vision and zeal and is an inspiration to any that will listen. It was a great day with new and wonderful friends. We are back in our hotel room ready to sleep, our plane leaves for Chennai tomorrow afternoon so we will get the chance to see a bit more of Dubai before we leave. We are so happy to get to spend time with Hannah and Samson. We had lunch in their small flat and blessed them as they have been such a blessing to us! What a great future this young couple has together. They call us Auntie and Uncle and we feel like we are just that. It is our honor to be called family. We had a good flight from Dubai to Chennai; not many on the plane and there was room for us stretch out. It is the 150th anniversary of MADRAS HIGH COURT http://post.jagran.com/pranab-on-a-days-visit-to-chennai-1347099973 and so the plane before us had VIP’s on it! The Plane was ordered to circle overhead until the security was in place for the VIP. And here we thought we were VIP’s! No wonder we are told not to take the best seats at the table unless invited, there may be someone more important than you! Like the President of India. Once they allowed us to land, everything was smooth. Our luggage arrived with us( first time in 3 trips) and Sam and Beaulah arrived at the airport just as we came out the door. All timing was perfect. The roads are under construction as they are building new highways throughout and it is the rainy season! So the roads in the neighborhoods look impassable! Silly me, after stopping to ask the cows to move from the roadway we drove onto the side of the road and made it almost to Sam’s front door. Sam and Beaulah had to get out and walk as the driver thought the car would bottom out. Sam and Beaulah bought a new bed just for missionaries; it is very nice. They store it away until the next missionary comes this way. We slept well, as well as I could. I can’t seem to figure out what time it is and even though I am tired my mind remains active until about 4 am then I fall into a deep sleep just in time to wake for the day. Which today was 6 am as the government turns off the electricity every day from 8 am to 9am. So we had to have our showers, ironing and breakfast done before 8. Which was fine as the service began at 9 am. I wore my Sari, the woman who made it 2 years ago was at church and was so happy to see me wearing it. She did a good job. They put several seams in the side you can let out to adjust the fit and so yes I had to adjust it before I left home to allow for the extra weight I have somehow mysteriously added to my frame. The service begins with singing in Tamil and they forget we can’t understand one word. So we pray, clap, hum. They always amaze me with such sincere worship. This was a 3 hour service and our part was maybe an hour. Afterwards each came to us to greet us and ask for prayer as a family. Chuck found a moth on the wall to use as part of his sermon illustration. 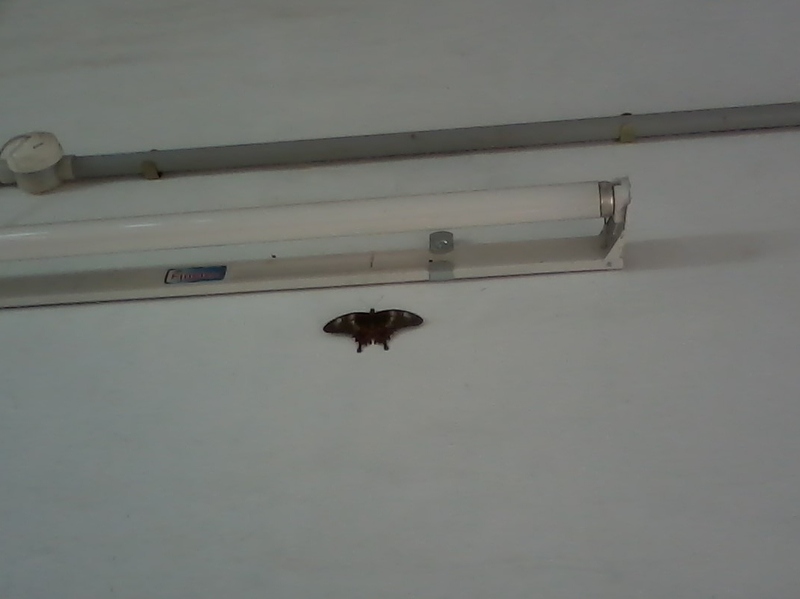 This moth fluttered for the whole service at the artificial light wearing himself out. It was probably 5 inches in wing span. Jesus said you are the light of the world don’t wear yourself out looking at the wrong light. John 1:1-9. We were so happy to be in the new church building. Just 2 years ago it was short walls and the inside filled with sand it had been that way for 10 years. It was 2 years ago Chuck said to have the congregation stand in the middle and take a picture because it was time to finish the work. The next year they had removed the sand cleaned up the yard and we walked the floor with Sam telling of the plan and vision for the building. Chuck encouraged them to move the church from the roof to the new building and now 1 1/2 years later it is done enough to hold services. They finished it in time for their first daughter to be married last November in the building! What a joy, it was Hannah and Samson’s wedding our Host of Dubai! We have had the priviledge to be a part of firsts. 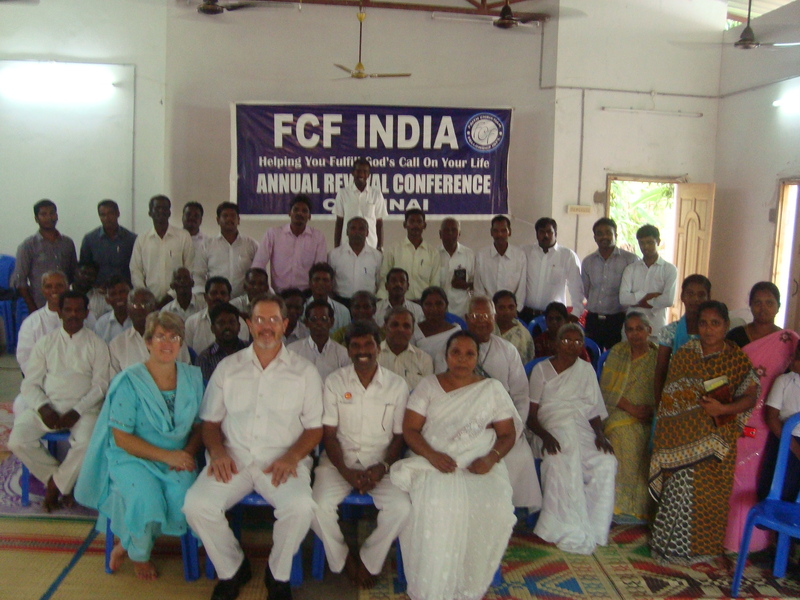 The first to come to Chennai church in ten years,the first to hold a pastors conference for Sam and Beaulah. 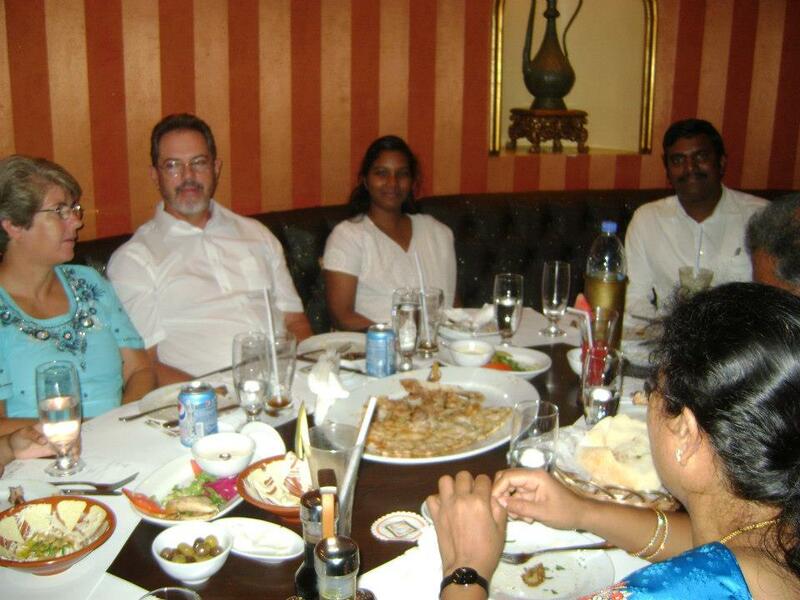 The first American to go to Dubai and minister in Pastor David’s church. The first guest for Sam and Hannah to host. What a joy to be led by the Spirit of God and it turn out to be true and good!